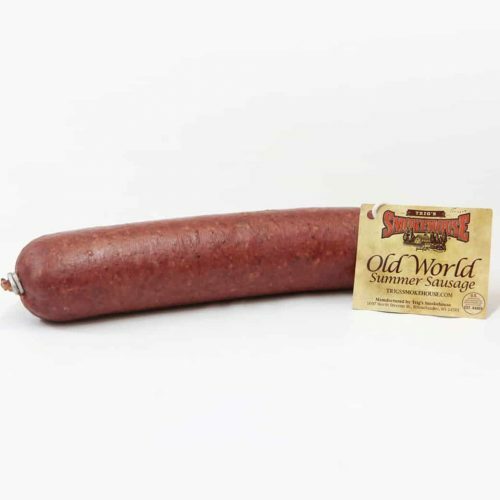 We’re taking it back to the old country with our Old World Summer Sausage, now available in stores. We use 100% quality beef and the perfect amount of seasoning, stuffed into a natural casing and slow smoked for a hearty eating experience that will take you back to a simpler time. Bursting with flavor, this sausage is the perfect partner for your favorite cheese or party trays. Named the Grand Champion by the Wisconsin Association of Meat Processors (2016), this sausage will not disappoint. No refrigeration required. 12 oz.